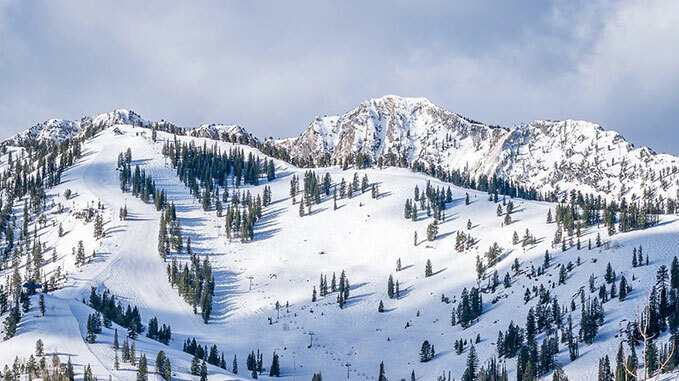 Solitude Mountain Resort has something to offer skiers and riders of all abilities with an average of 500” of annual snowfall, 77 named runs, three bowls and some of the most impressive off-piste terrain in the country. Find Solitude while exploring this resort’s short lift lines and 1,200 acres of incredible terrain. The Snowsports Academy provides lessons and clinics for guests of all ages who want to learn to ski or snowboard. The Nordic Center an option for non-downhill skiers or snowboarders, where you can try Nordic skiing or snowshoeing. Solitude also offers state-licensed daycare for children from 2 months to 12 years of age. Solitude Resort Lodging offers the largest selection of accommodations in the Solitude Village area. Accommodations include a collection of condominiums, townhomes and private homes, as well as a full service hotel, The Inn at Solitude. Solitude Mountain Resort’s 2017 – 2018 winter season dates are December 2, 2017 to April 15, 2018, conditions permitting. For more information about Solitude Mountain Resort, please visit solitudemountain.com.